On the occasion of International Women’s Day, Dina Ionesco, Head of IOM’s Migration, Environment and Climate Change (MECC) Division has been awarded a trophy as an Inspirational Woman in Geneva working for the Environment. Jointly sponsored by UNEP, the Geneva Environment Network and the Swiss Confederation, the award is granted to women who have made outstanding contributions to the environmental field and/or have promoted the empowerment of women and gender equality in the environmental field. An exhibition was launched on 8 March at the International Environment House I celebrating the achievements of these inspirational women. The exhibition will be open until 31 March 2016. As Head of the Migration, Environment and Climate Change Division of IOM, Dina’s work aims to bring climate migrants into the spotlight and to equip migration and climate policymakers with the tools to respond to environmental migration challenges and opportunities. Dina has expanded IOM’s environment portfolio, leading the establishment of a dedicated Division and inputs instrumental to the inclusion of migration in the Paris Climate Agreement. Dina considers that freedom, creativity, trust, competence and fun are crucial to good management and she is tremendously proud of her team, comprised of remarkable female professionals. Dina’s passion for migration arises from her early experience as a political refugee in France, escaping with her family from Romania. Dina is married and has two sons, aged 5 and 8. They are her daily motivators to care and act: “We have the power to influence what air future generations will respire and what values will prevail”, says Dina. 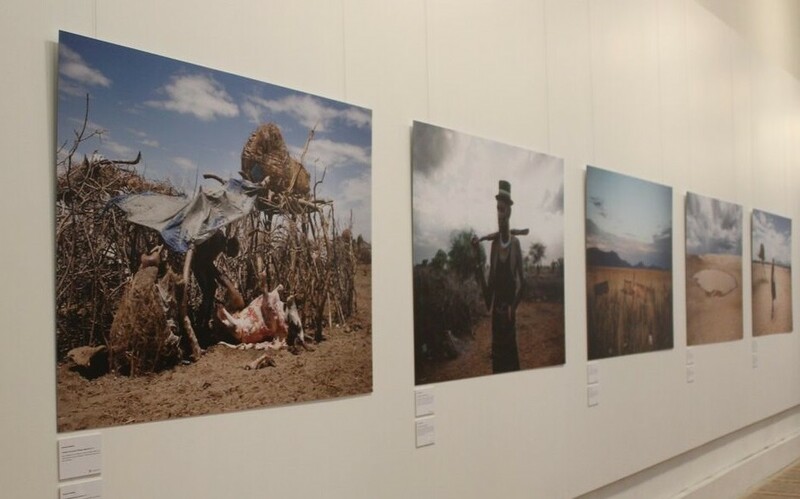 As part of the effort to provide visibility to environmental migration during the COP21, an exhibition at the French National Museum of the History of Immigration, was organized by IOM France in collaboration with the Tropical Aquarium and the Heinrich Böll Foundation. The exhibition, entitled “Entwined Destinies: Migration, Environment and Climate Change” features photos by photo-journalist Alessandro Grassani. The works vividly display how climate change impacts lives around the globe and how environmental migration to cities becomes part of these lives. The exhibition further features maps from the forthcoming Atlas of Environmental Migration and two film screenings: the award-winning documentary “There Once Was an Island” by Briar March (2010) on relocation from the Takuu Atoll in Papua New Guinea; and “Changement d’adresse pour cause de sécheresses” by Loïc and Geoffroy de la Tullaye (2012) on rural to urban migration in Kenya due to drought and land degradation. The exhibition has already attracted more than 2000 people and, due to its success, will be extended until 17 January 2016. As part of the UN High Commissioner for Refugee’s Dialogue on Protection Challenges, a two-day session, co-chaired by Walter Kälin of the Nansen Initiative and Kelly Clements, Deputy High Commissioner of UNHCR, looked at new root causes of displacement. Both co-chairs stressed the difficulties arising with these new forms of displacement, but also that through efforts made now, solutions, for example through migration as adaptation, are not far off. Speaking on the first panel, Jill Helke (IOM) stressed that with the Paris Agreement signed, it is now time to plan in order to tap the positive potential of migration as adaptation to climate change. She was seconded by Carlos Martin-Novella (IPCC) who pointed out that displacement will happen, even if the global community manages to reach the target of reducing global warming to 1.5°C, and that the world has to prepare. Koko Warner (UNU) showed how quickly the world has come to acknowledge environmental migration as a fact and made clear that COP21 was the turning point from awareness-raising to action. Shukri Ahmed (FAO) echoed this call for a hands-on approach and argued that food security was an important factor in migrants decision to move. The High-Level Roundtable on Human Mobility and Climate Change, organized by the International Organization for Migration (IOM) on behalf of the ONE UN, took place in Paris, Le Bourget, on the 10th of December. The side event gathered Nicolas Hulot (Special Envoy of the French President for the Protection of the Planet and President of the Nicolas Hulot Foundation), Dr. Kamal Uddin Ahmed (Secretary, Ministry of Environment and Forests, Bangladesh), Volker Turk (Assistant High Commissioner, United Nations High Commissioner for Refugees), Monique Barbut (Executive Secretary, United Nations Convention to Combat Desertification), Kyung-wha Kang (Assistant Secretary General, UN Office for the Coordination of Humanitarian Affairs), Jan Egeland (Secretary General, Norwegian Refugee Council), Seb Dance (Member of the European Parliament), Dr. Youba Sokona (Vice Chair, Intergovernmental Panel on Climate Change) , Alfredo Zamudio (Director General, The Internal Displacement Monitoring Centre), Philippe Lévêque (Executive Director, CARE France) and Michelle Leighton (ILO Chief, Labour Migration Branch). Chairing the event, IOM Director General William Lacy Swing made clear that “we face major migration and refugee movements, and climate change is among the root causes of the record number of persons forced to migrate. By taking action to harness the positive potential of migration as an adaptation strategy to climate change we can support those who might need sooner or later to migrate with dignity." That environmental migration is not only an issue for policy makers on the national and international levels, but also feeds into climate change adaptation planning at a local level became clear at a conference on “Climate Change – anticipate and prepare”, organized by the Canton of Vaud, Switzerland, at the Rolex Learning Center in Lausanne. During a roundtable on the challenges of climate change to European societies, IOM’s Dina Ionesco spoke about the challenges that environmental migration can pose and the opportunities the integration of migration issues into climate policy can bring: "Migration policy is about planning not fearing. We lose time fearing migration instead of planning for it." 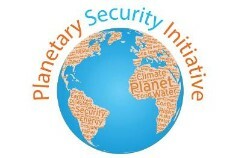 At the Planetary Security Conference in The Hague policymakers as well as experts from various fields discussed the interlinkages of security and climate change with the aim to share knowledge and insights on the nexus of climate change and security and, importantly, to translate insights into policy. Environmental migration was high on the agenda with a working group dedicated to the topic. Stressing the multi-causal nature of environmental migration, the speakers from the United Nations University, IOM, the Arab Network for Environment and Development and the Nansen Initiative, made clear that environmental migration is a multifaceted phenomenon that cuts across different policy areas, such as: migration, development, environment, climate change, humanitarian assistance, human rights and security. The working group discussed options for future policy action to address environmental migration in three areas: minimizing forced migration; planning for and responding to migration, and facilitating voluntary migration as an adaptive response. The workshop was held as part of a conference entitled “La protection de l’environnement au Burundi : enjeux économiques et sociaux” at the Institut Français. The French Ambassador to Burundi highlighted in this opening statement that the workshop intended to provide valuable information in preparation for the forthcoming COP21. Participants stressed that Burundi is not significantly contributing to greenhouse gas emissions and is likely to suffer due to its poorer capacity of resilience/adaptation. Its rapid population increase (from 1985 to 2015, the population is estimated to have tripled in 30 years) on a continuously deteriorating agriculture land is the main cause of environmental degradation and loss of fertility to a large extent. Kristina Mejo, Chief of Mission of IOM Burundi, presented the impact of climate change to human mobility and noted IOM’s significant role in addressing insecurity resulting from climate change-induced migration. To date, IOM Burundi has assisted thousands of returnees and expelled migrants to increase their resilience and adaptation to the impacts of climate change. Contributions take the form of immediate non-food items distribution and financial support to diversify income generating activities within migrants' associations whose members rely strongly on poor subsistence agriculture. “The term 'climate refugee' hides a myriad of realities”, François Gemenne, researcher and expert on migration, environment and climate change, stated during a debate hosted by the French development network Comité 21 and IOM Paris. Gemenne pointed out that over 26 million people are displaced on average each year as a result of natural disasters, which is two to three times more than the number of people displaced by armed conflict. Further, considerable populations are and will be displaced by slow environmental degradation. However, creating a legal status of “climate refugee” would not be a panacea, Gemenne argued, as that status would apply only to a small number of migrants. Adopting harmonized protection rules, that guarantee the same protection to all those displaced by our changing climate, as for example by means of the Nansen Initiative, would be a solution. Prior to UNFCCC COP21 in Paris, representatives of States, civil society and international organizations gathered in Bonn in order to negotiate the draft text of the climate agreement. Whereas human mobility had been excluded in previous drafts of the agreement, the weeklong negotiations in Bonn resulted in the nexus of migration and climate change being inserted back into the draft again. It figures as part of the Loss and Damage section of the draft agreement, but also prominently in the Preamble: the “importance of respecting and taking into account (…) the needs of migrants (…) when taking action to address climate change” is recognized. The inter-agency Advisory Group on Human Mobility and Climate (UNHCR, UNU, NRC, IOM among others) issued joint recommendations on human mobility in the climate change agreement. 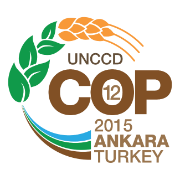 More than 6,000 delegates gathered at the COP12 of UNCCD to discuss how to halt and reverse land degradation in all its forms. A definition of Land Degradation Neutrality was adopted, which is aimed to be reached by 2030. 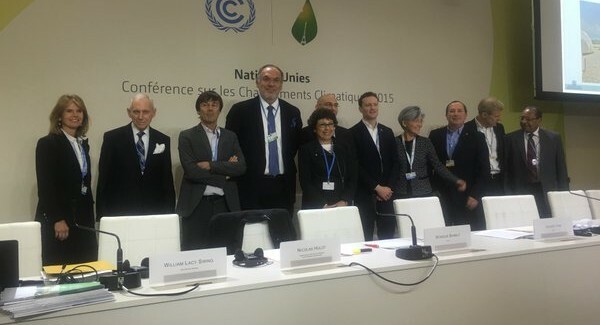 Stronger linkages with the ongoing negotiation process under the UNFCCC were emphasized. One major focus of the interventions throughout the conference was the nexus of land degradation and migration. Many delegates referred specifically to the evidence on land degradation as a driver of migration and conflict, and the need to reach Land Degradation Neutrality in order to enable the choice of people to stay. 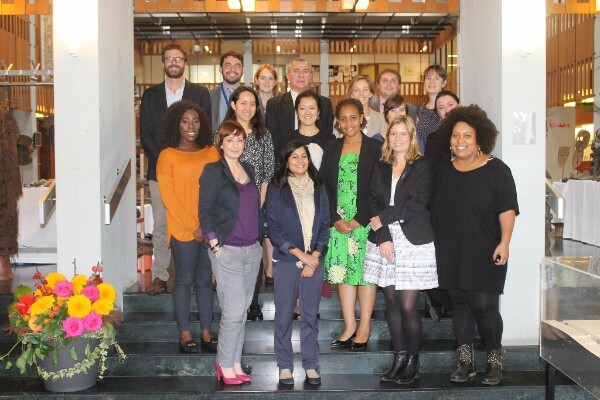 The Nansen Initiative held its final Global Consultation in Geneva on 12 and 13 October 2015. The event led to the 111 States involved with the initiative endorsing the Nansen Agenda for the Protection of Cross-Border Displaced Persons in the Context of Disasters and Climate Change. Several states highlighted the important role that IOM and UNHCR play in environmental and climate-related migration and referred to their potential positioning in the institutional future of the Nansen Initiative that will be further discussed and decided before the end of this year. IOM being a member of the steering group and the consultative comittee, IOM Director General, Ambassador WIlliam Lacy Swing, was invited to deliver a keynote speech alongside the UNHCR High Commissioner. Ambassador Swing highlighted that climate change will produce more and more environmental migration in the future and described IOM's action taken in the field of migration, environment and climate change. The key questions related to the implementation of the Nansen Agenda, the preferred institutional arrangements and the possible funding mechanisms remain open. Several states also officially called for human mobility matters to be included in the future global Climate Agreement, to be reached in Paris at the 21st Conference of the Parties (COP21) of the United Nations Framework Convention on Climate Change (UNFCCC). President Anote Tong of Kiribati on behalf of the Coalition of Low Lying Atoll Nations on Climate Change (CANCC) - (Kiribati, Marshal Islands, Tokelau, Tuvalu) and Fiji, in partnership with His Serene Highness Prince Albert II of Monaco hosted a High Level Dialogue on Climate Induced Migration in Tarawa, Kiribati. International and regional organisations (ESCAP, UNDP, ILO, IOM and UNHCR), NGOs, and representatives of the scientific and diplomatic community participated in the meeting. IOM’s delegation of the meeting included Mr. Andrew Bruce, Regional Director of Asia and the Pacific and Mr. Joe Appiah, Chief of Mission, IOM Australia. The dialogue focused on the impact of climate change on CANCC and its members expressed concerns on how this phenomenon has had damaging consequences on their way of life and the future of their nationals. The CANCC underlined the need to take ownership of the discussion on their plight and stressed the fear of growing threats which posed major existential challenges to their people and culture. Against this background and the deep concern that their plight is not getting the necessary international recognition and support required, CANCC solicited the support of international Organizations and development partners to support labour mobility, health, education and their disaster risk resilience efforts programmes. The elimination of the linkage of migration to climate change from the text of the COP21 document was noted with concern and CANCC indicated that the reality of their situation would potentially require dignified relocation with a development focus. In this regard, they emphasized the importance of a COP 21 concluding a legally binding instrument on loss and damage, including the establishment of a climate change displacement coordination facility. Migration should therefore be considered as an option in addressing impact of Climate Change on CANCC and sought the collaboration and support of partners. All participants reaffirmed their continued support to CANCC in dealing with the challenges of climate change in a holistic manner. IOM’s statement outlined the Organization’s perspectives on using existing intergovernmental process to address the challenges of cross border displacement in the context of disasters and climate change. The commitment to work with governments and development partners to reduce forced migration and cross-border displacement in line with the Sustainable Development Goals, facilitating safe, orderly and regular migration involving full respect for human rights was underlined. Speaking at the INGOs and Parliamentarians Round-Table on Climate change and Human Rights at the Council of Europe in Strasbourg on 29 September 2015, IOM's Dina Ionesco highlighted the importance of environmental degradation and climate change as factors in migration processes that can no longer be ignored. Migrants themselves play a vital role in our globe's changing climate: "Migrants should be taken neither as heroes nor victims but for committed and responsible actors who can contribute to the fight against climate change!" Ionesco also stressed the importance of integrating environmental migration in the Paris Agreement being discussed in November. 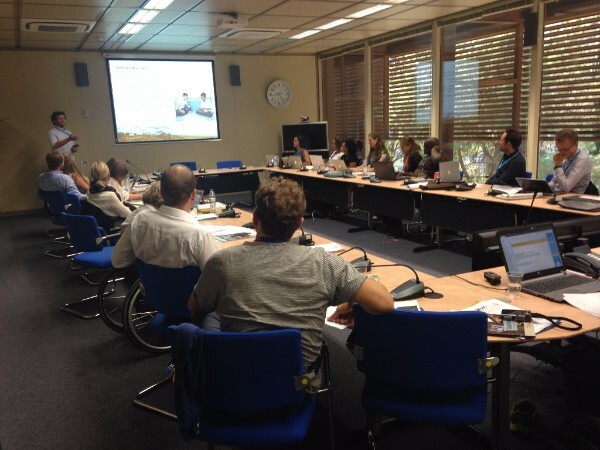 The COST Action on Environmental Migration, funded by the European Union, came to an end in Seville on 28-29 September 2015, with the organization of a Workshop on mixed methods in research on environmental migration. The workshop brought together about 20 participants representing the academia, practitioners, research experts, intergovernmental organizations and NGOs. MECLEP partners UVSQ, UNU-EHS, University of Liège and IOM attended the Workshop and presented on the MECLEP project in various presentations. The MECLEP project - the only current global research project on the migration, environment and climate nexus - was largely discussed during the event as a model example of research for policy, relying on both qualitative and quantitative methods. Addressing climate change was a clear priority emerging from the UN Sustainable Development Summit 2015, which was held in New York over the 25th to 27th of September. Numerous world leaders, who gathered in New York to adopt the 2030 Agenda for Sustainable Development, highlighted climate change as one of the key issues that will give impetus to the 2030 Agenda and its implementation. Many of the leaders present also used the Summit as an opportunity to create momentum for the negotiations leading to COP21 in Paris. For example, French President Francois Hollande spoke at length about the need to produce a strong climate agreement that will commit governments for decades to come. The links between migration, environment and climate change were also raised during the discussions, with governments including the USA, Honduras, Hungary, Gabon, Guatemala and Kiribati referring to climate change and natural disasters amongst the various drivers of migration. Similarly, IOM’s intervention to the plenary highlighted climate change and extreme weather events as factors driving migration that must be addressed. IOM's Migration, Environment and Climate Change (MECC) Division organized its first internal capacity building event following the Dvision's establishment on 1 January 2015. The three-day training workshop was the opportunity to bring together newly nominated MECC Focal Points from the IOM 9 regional offices and 2 Special Liaison Offices. The event represented the occasion to outline which strategies and activities could be developed on MECC at global, regional and national levels to support IOM's Member States to meet the challenges associated with environmental migration. The International Scientific Conference “Our Common Future under Climate Change” took place at UNESCO and Université Pierre et Marie Curie (UPMC) from 7 to 9 July 2015 in Paris, showcasing evidence-based ways to both reduce emissions and build resilient societies. Building on IOM’s global research, operational, and policy experience, IOM experts contributed to three sessions to reflect on the pathway from knowledge to action in the area of climate-related migration governance. Dina Ionesco of IOM HQ participated as a speaker in the “Predicting the social impacts of climate change: Migration, environment and climate change in a world of global uncertainties” session, which was convened by Francois Gemenne, Global research coordinator of the MECLEP project. Along with “Addressing migration in the context of global environmental change: an institutional perspective”, IOM’s presentations explored the opportunities migration offer in the context of climate change, and discussed the challenges around addressing environmental and climate-related migration, including the difficulty of measuring and framing environmental migration and producing evidence to inform decision makers; the challenge of bridging the gap between empirical knowledge and political action, and of putting policies into practice. The sessions provided recommendations and possible avenues for improved action and governance of environmental migration, as a contribution ahead of the COP21. Alice Sironi of IOM HQ’s International Migration Law Unit presented legal frameworks and challenges of environmental migration during the “Governance and Justice” session. The presentation provided an overview of the particular challenges environmental migrants may face in terms of human rights and justice; existing legal instruments, their applicability in the context of environmental migration, as well as their limitations and discuss the prospects and challenges for creating a protection framework for those displaced or migrating in the context of climate change. As the leading migration agency, IOM shared its practical experience and emphasized the importance of a rights-based approach to the management of environmental migration. Participants recognized that South Asia and the Indian Ocean region is exposed to a wide array of natural hazards with the potential to trigger human mobility, including sudden-onset hazards (e.g. tropical cyclones, flash floods, earthquakes, tsunamis, landslides, avalanches and glacial lake outburst floods), as well as slow-onset ones (e.g. sea level rise, desertification, droughts, riverbank erosion). Participants emphasized that climate change is already a reality for States in the regions, and expressed concern that, given countries’ high exposure and current adaptive capacity, they will increasingly face the adverse effects of climate change, such as rising sea levels, salt water intrusion, coastal erosion, glacial melting, drought, and variable intensity and frequency of rainfall patterns and monsoon seasons. The consultation led to a set of recommendations under the themes of Disaster Risk Reduction and Climate Change Adaptation; Protection of Displaced Persons in Context of Disasters and the Adverse Effects of Climate Change; Migration as Adaptation; Planned Relocation; and Data Collection and Scientific Knowledge. 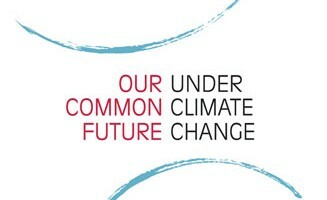 The recommendations from the South Asia and Indian Ocean Regional Consultation, along with those from other regional consultations, will be submitted to the Nansen Initiative Global Consultation that will take place in Geneva in October 2015, and shared within relevant regional and international fora, including the UNFCCC negotiations and the World Humanitarian Summit. The International Organization for Migration (IOM) believes that climate change will generate more migration and that now is the time to plan in order to mitigate possible negative impacts and reduce the need for future disaster response interventions. The 105th IOM Council called for collaboration to be better prepared and to consider migration as part of the adaptation solution, underscoring that human mobility in relation to climate and environment is a reality of our times. The High Level Panel on migration, environment and climate change aimed to contribute to a number of policy processes important to the international governance of migration that are taking place in 2015, notably the 2015 negotiations in Paris under the United Nations Framework Convention on Climate Change (UNFCCC), the Conference of the Parties of the United Nations Convention to Combat Desertification (UNCCCD), the second Hyogo Framework for Action on Disaster Risk Reduction (HFA2), the post 2015 development framework and the conclusion of the Nansen Initiative. The International Organization for Migration (IOM) has been collaborating with the award-winning Italian photographer Alessandro Grassani who is working on a series of features dedicated to environmental migrants. Alessandro’s striking images allow us to picture the reality of environmental migrants’ life in different countries. The exhibit aims to bring the human at the center of the climate debate, encouraging a better understanding of the opportunities and challenges faced by environmental migrants. The exhibit was organized within the framework of the 105th IOM Council session that gave special visibility to human mobility, environment and climate change and represented a critical landmark in the continuation of the dialogue on this topic between IOM and its partners. The International Organization for Migration (IOM) and the UN Convention to Combat Desertification (UNCCD) signed a Memorandum of Understanding (MoU) at the 105th session of the IOM Council, the organization’s governing body, which took place 25-27 November 2014 in Geneva. IOM has joined a group of international agencies participating in the Climate Vulnerable Forum (CVF) Trust Fund with the signing of a Memorandum of Understanding. The partnership aims to increase the capacity of affected communities to deal with migration and displacement linked to the impact of climate change and environmental pressures. The Climate Vulnerable Forum (CVF) & IOM thematic luncheon brought together Permanent Representatives and senior delegates of missions and delegations to the United Nations at Geneva with international partners and experts including High-Level panellists participating in the 105th IOM Council session’s special Panel on “Human Mobility, Environment and Climate” being held the same day. The thematic luncheon was an opportunity for diverse partners and speakers to share in the IOM Council’s focused debate on climate change and for engaging wider Geneva-based audiences in this increasingly significant policy conversation.